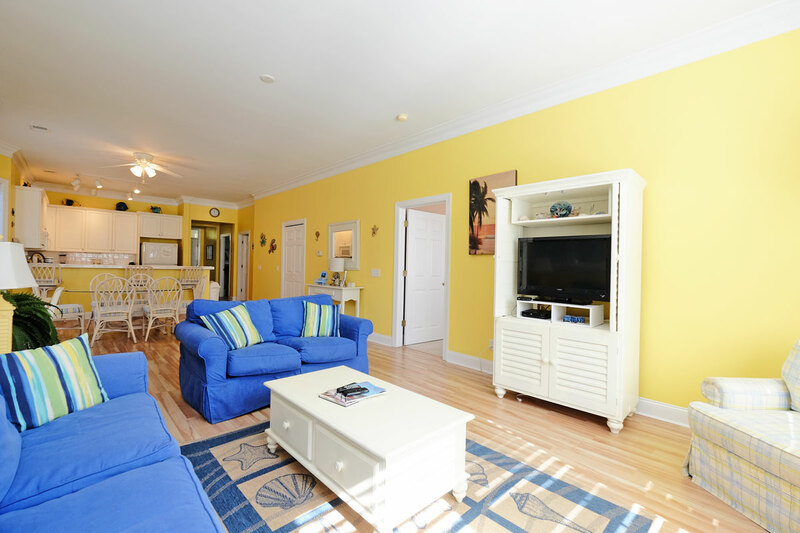 Welcome to your next exciting beach vacation rental, Marsh Hawk 1D, at Litchfield Beach & Golf Resort. This bright and cheery unit features 3 spacious bedrooms, 2 full bathrooms, and lovely views of the marsh. Enjoy a private enclosed porch, fully-furnished kitchen, and more when you reserve Marsh Hawk 1D! There's no sight quite like the inlets and marshes that surround our Lowcountry gem, Pawleys Island. Whether you choose to immerse yourself in the sights and sounds of this natural beauty in the morning, noon, or night, you'll be impressed by the view from your own porch! Inside this lovely condo, you'll find comfortable accommodations, which feature 1 King bed, 1 Queen bed, and 2 Twins. Other plush furnishings can be found throughout the living and dining areas of the unit. Relax in the spacious Jacuzzi tub that can be found in the master bathroom. 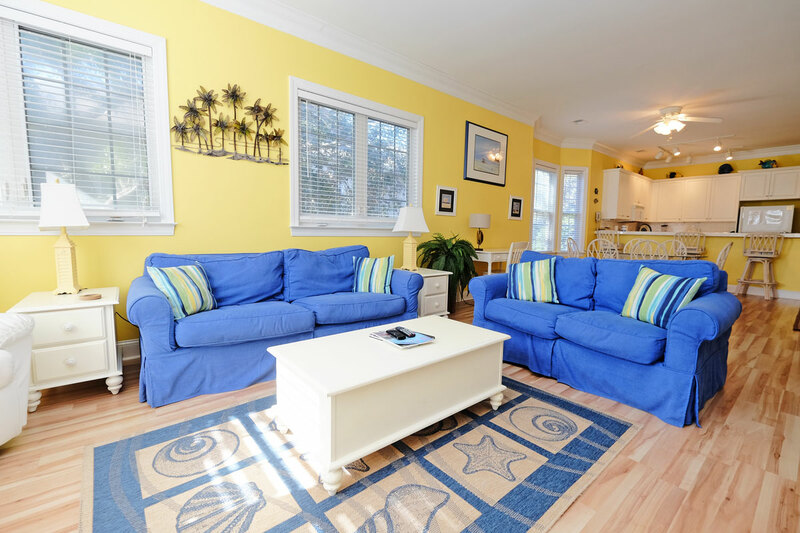 Enjoy complimentary WiFi Internet access and cable television throughout the duration of your beach vacation. You'll have fun cooking something special for your group, thanks to the fully-equipped kitchen you'll find in Marsh Hawk 1D. Take advantage of refrigerator, stove, and other major appliances, as well as cookware and flatware. For your added convenience, you'll find a washer and dryer inside the unit as well! Step outside your condo and spend some time enjoying the beach, which is located just a 1/2 mile away, or try out some of Litchfield's exciting amenities, including multiple golf courses, indoor pool, outdoor pool with lazy river and play plaza, health and fitness center, bike rentals and bike trails, tennis courts, fishing lake (fishing license required), business center, private beach access, wireless internet access, day spa, and Starbucks.